The Agile principle ‘customer collaboration over contract negotiation’ is geared towards ensuring that customers truly get what they want. When customers are dealing with a new type of service delivery, they end up in unfamiliar situations. In such situations, people tend to focus on the elements that deviate from what they are used to. 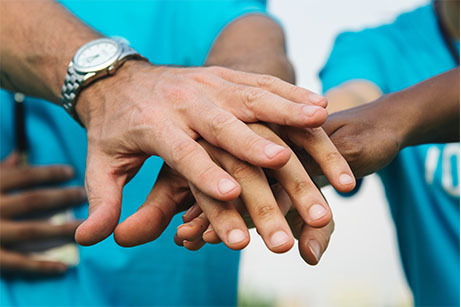 If you work together with your customers when developing your services, they feel more involved in the future of your services, which is a much more productive viewpoint. When organisations want to prevent that customers focus on changes in a negative way, they often create contract arrangements and SLAs beforehand to ensure that the service delivery will satisfy certain quality standards. The drawback of doing so is that these kinds of arrangements can never be all-encompassing. On top of that, they are often made with a technical viewpoint in mind, which really isn’t the customer’s primary concern. So what’s the alternative? Try setting up a service catalogue. Essentially, a service catalogue is similar to a contract. It’s a (digital) document provided to the customer by the service provider, outlining what customers can expect from a particular service. A service catalogue allows you to create a mutual frame of reference for your service delivery. Your aim is always to provide your customers with good services. One relatively simple thing you can do to help achieve this is to compile a client panel when creating a digital portal and service catalogue. A varied group of customers will be able to provide the project members with feedback and new insights throughout the entire project stage. Once that stage is completed, do continue to involve the customer panel (perhaps with a different composition) in any developments and changes in your services. This is one very practical way of improving your collaboration with customers, that has them playing an actual part in the creation of your service catalogue. Actively asking customers for feedback could be seen as a type of collaboration in this respect. One important condition is that the service catalogue is fully integrated in a digital self-service portal. After all, providing information is crucial, particularly in terms of the customer’s ability to review outstanding calls and requests. Every time a call or request is closed, the service provider then has the option of asking the customer about their experience with that particular call or request. Your challenge lies in connecting your customers’ assessments to your various services. If you do so properly, you’ll have a continuous real-time overview of customer satisfaction levels for your service staff. The useful feedback provided by your customers will provide you and your service staff with incentive to focus on services that are scoring lower on average than others. 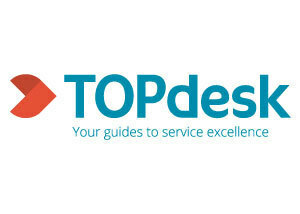 To discuss more about service catelogues with TOPdesk why not register for Digital Transformation EXPO Europe, Register your interest here.